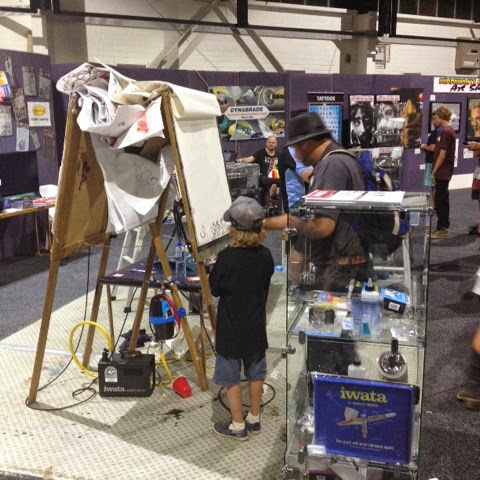 Check out our latest video - How to make a paint pourer using Masking Tape. 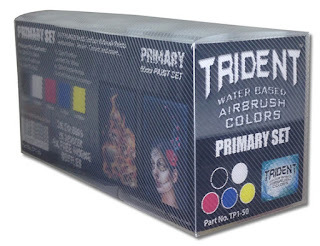 This video will show you a great little trick that I have been using for more than 10 years now, it shows you how to use two strips of masking tape to create a paint pourer which will make it easy to pour paint from a large tin into a small bottle or directly into your airbrush. 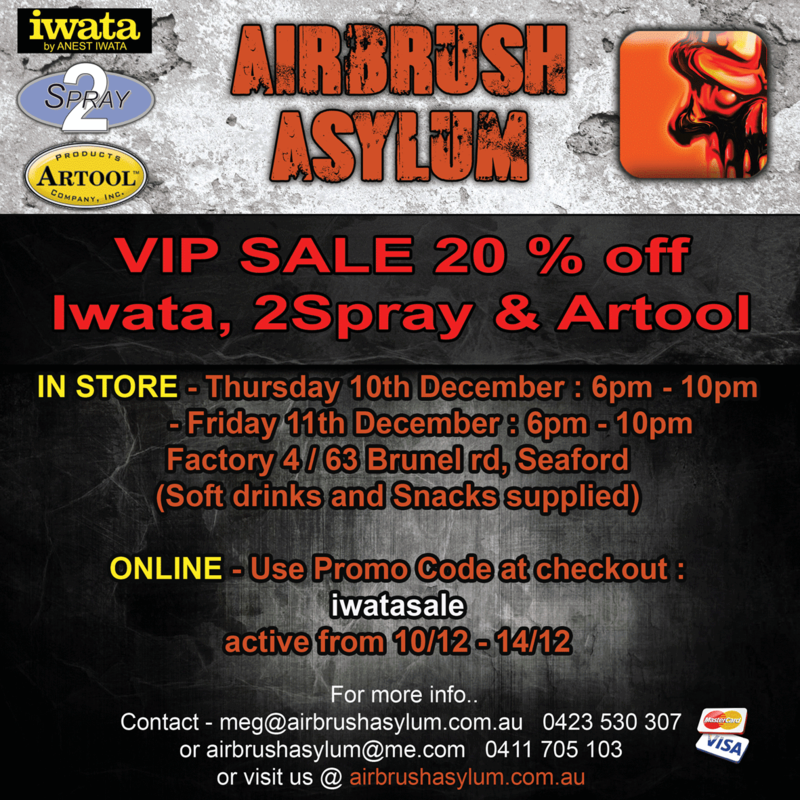 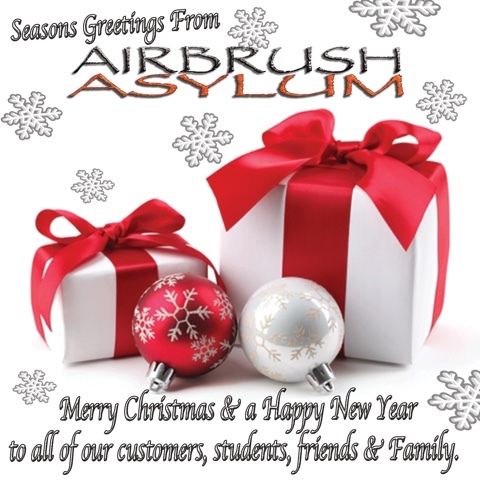 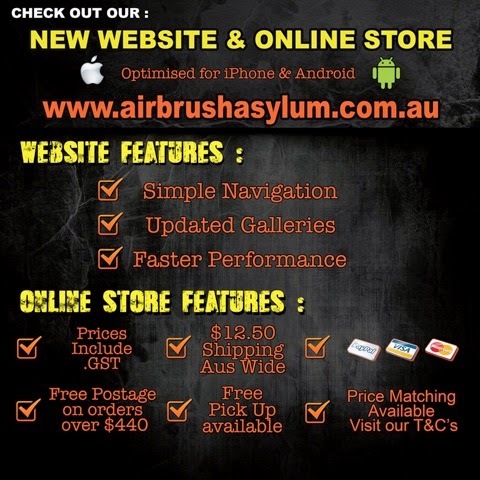 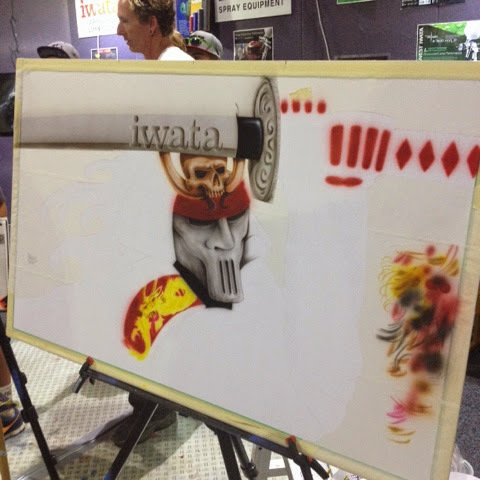 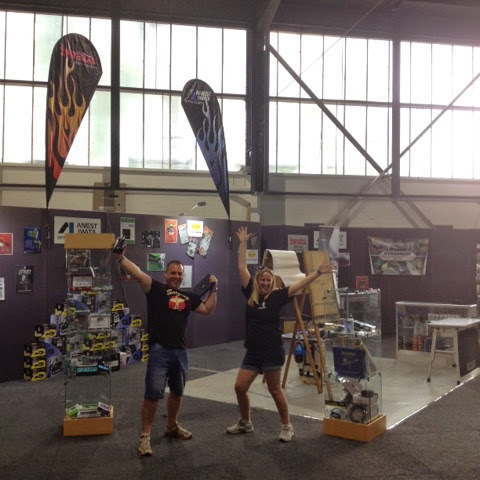 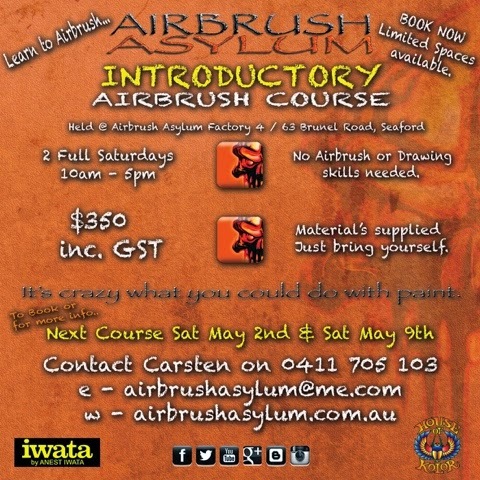 BOOKING NOW for our next Introductory Airbrush Course. 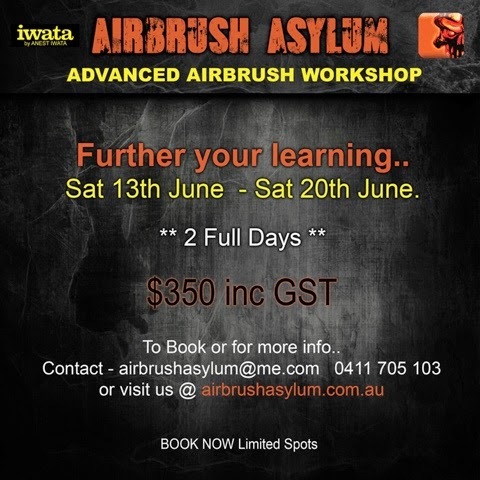 Learn to Airbrush, book into our next Introductory Airbrushing Course perfect for anyone at any age with little or no experience with an airbrush. Check out Part 2 of our Skulls and Flames Step by Step video. 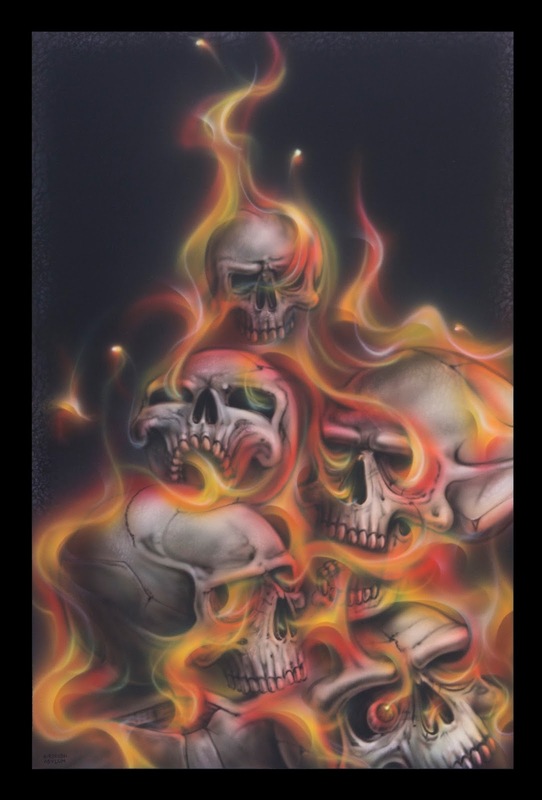 Check out Part 2 of our Step by Step video Skulls and Flames. 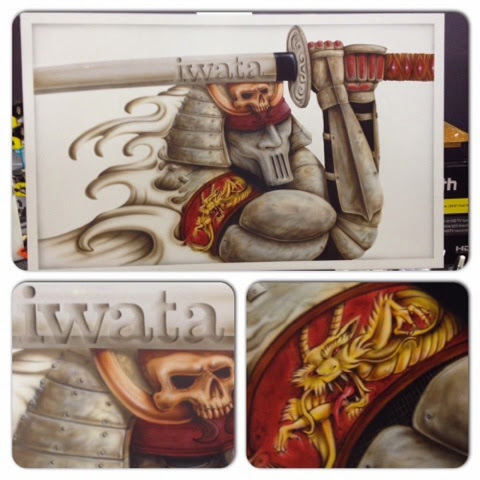 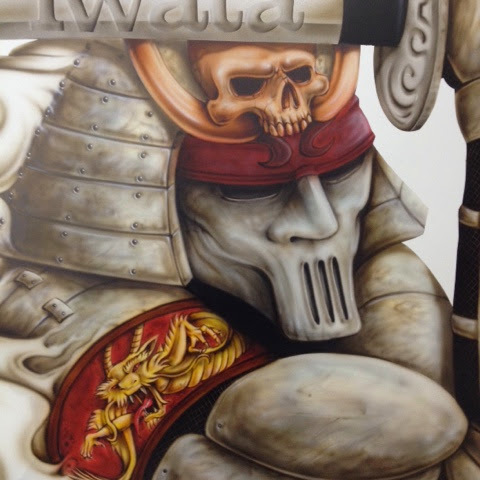 In this 2 part video we will show you how to create this skulls and flames artwork using Trident waterbased airbrush colours. 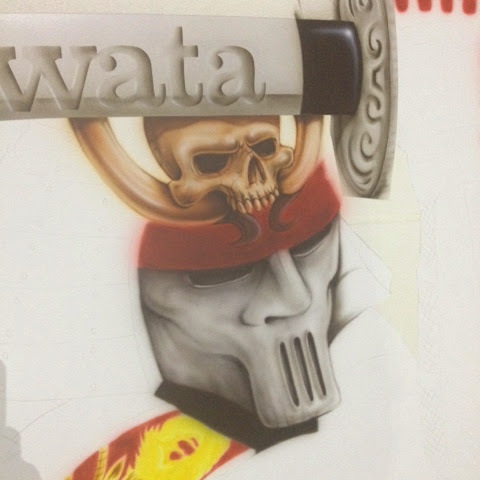 Check out Part 1 of our Skulls and Flames Step by Step video. 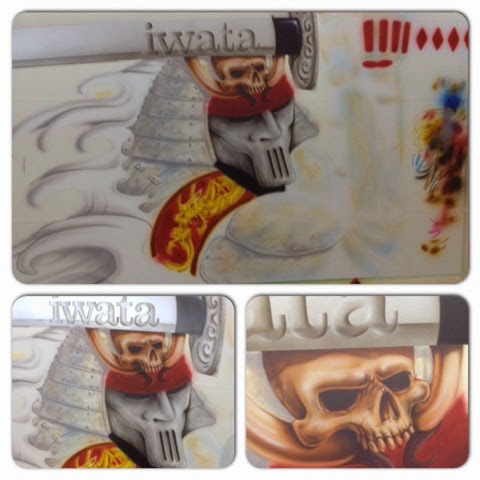 Check out Part 1 of our Step by Step video Skulls and Flames. In this 2 part video we will show you how to create this skulls and flames artwork using Trident waterbased airbrush colours. 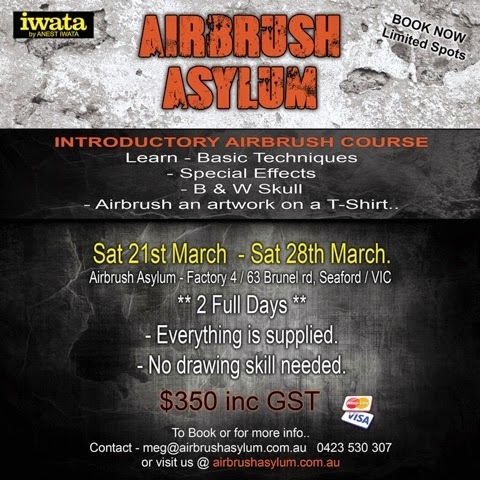 Booking Now for our latest introductory Airbrush Course. 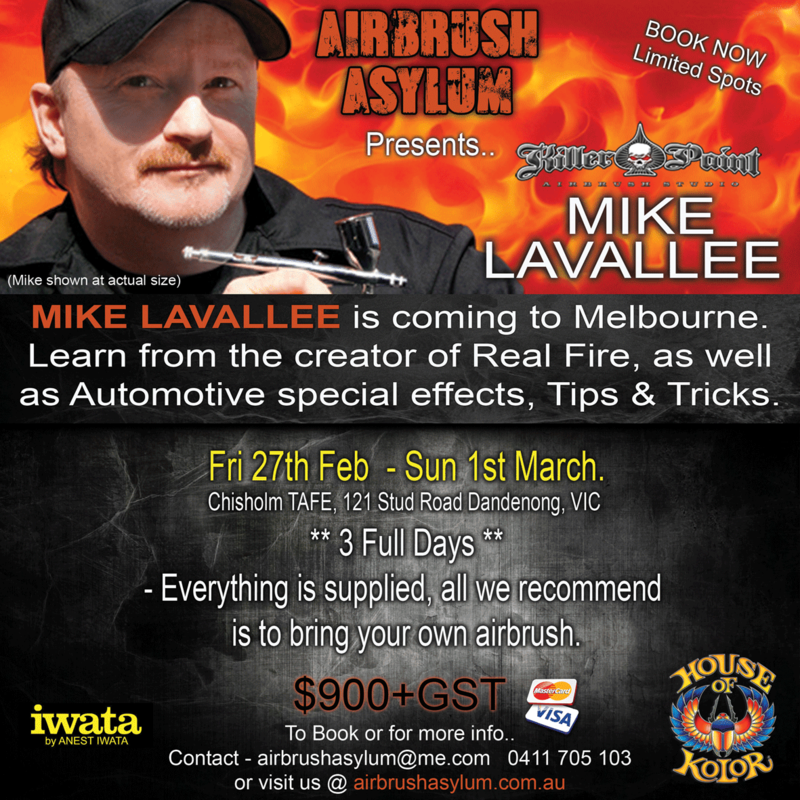 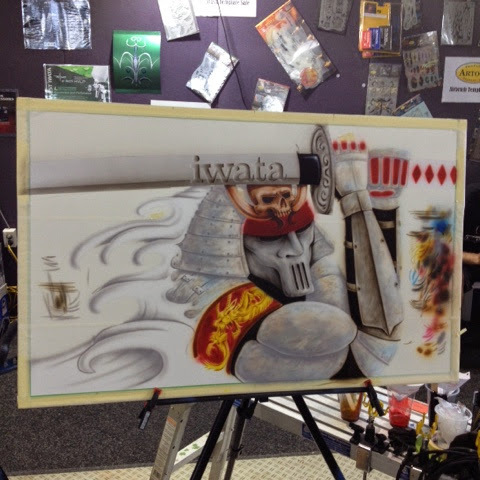 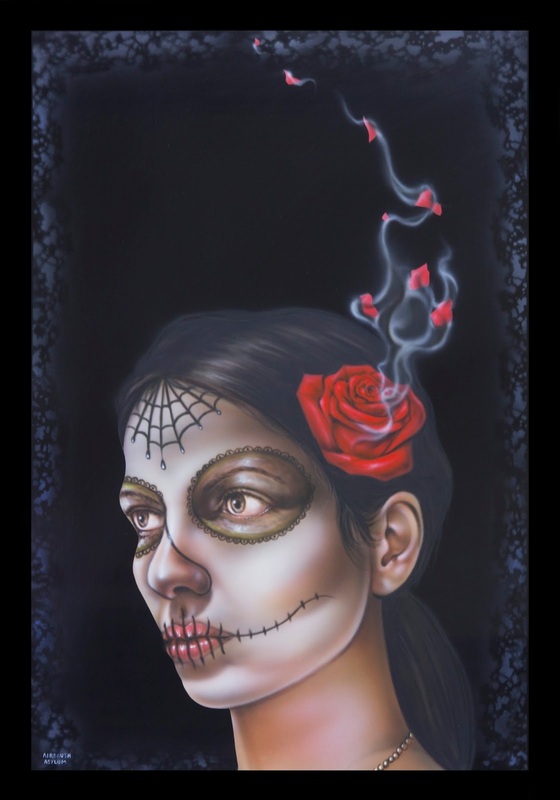 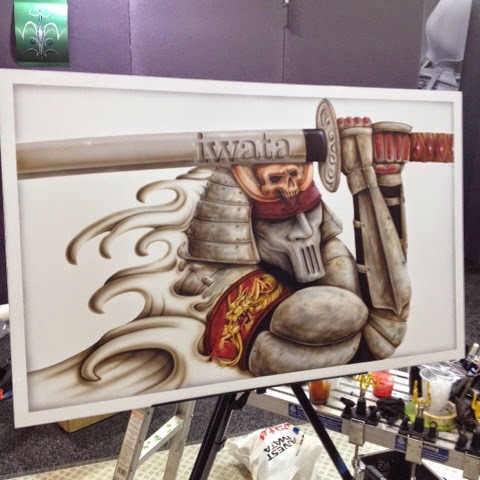 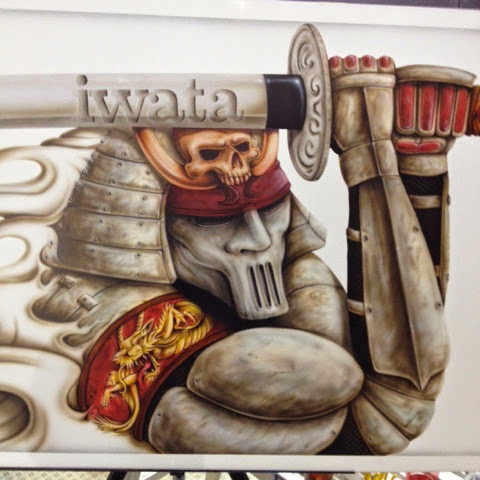 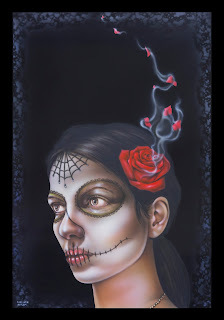 Have you always wanted to learn how to airbrush? 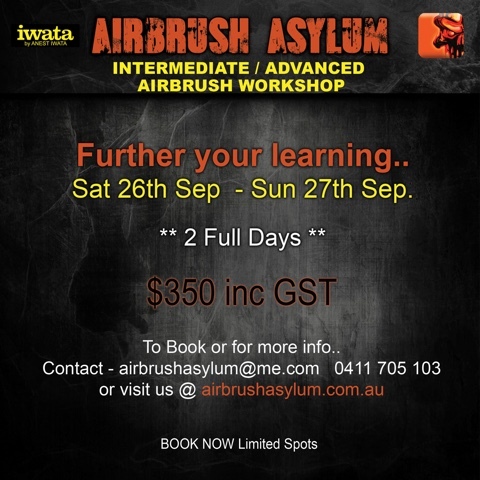 then this course is the answer...contact us to secure your spot or visit our website for more details.